Sponsored Archives - Page 3 of 3 - Solar Love! One of the many wonderful things about the cleantech revolution is that even very mundane, uninteresting things become cool. “Grey infrastructure” becomes “green infrastructure,” and all of a sudden there’s a great deal of life to it. One example is in the field of automobile parking. Parking lots and parking garages aren’t typically places to take sightseeing pictures. But throw on a little solar technology, and maybe a tad of an artistic touch, and it’s a completely different story. 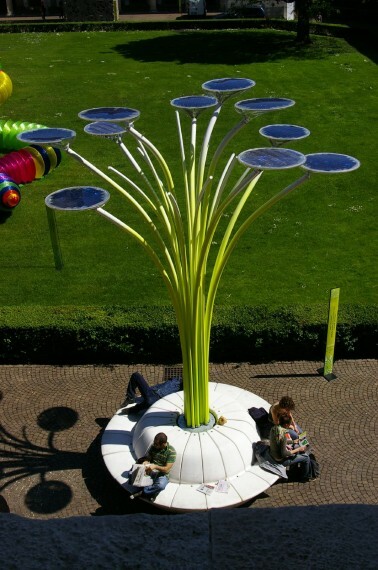 … solar trees are too cool to pass up! Solar tress combine useful solar panels, perhaps also EV charging, and art. A number of different companies offer slightly different-looking solar trees. Also, some parking services companies, like Scott Jones and his crew at Ace Parking*, are actually now offering solar tree advice and implementation. I’m sure there aren’t yet many parking companies that venture into this new avenue, but I’m sure it will become more and more popular. As noted above, there are different types of solar trees. Some just utilize solar panels to create electricity that is sent back to the grid. Some include outlets for charging of mobile phones and tablets. Some get really artistic by incorporating colorful, “dancing” LEDs. And some are especially useful in that they include charging outlets for electric vehicles. I love them all, but have to say that I have a special preference for the latter, because of their utility and my love of both solar power and EVs. *This article was generously supported by Ace Parking. There’s no debate about it — 110% of hippies love solar power. (Okay, that may be is definitely incorrect.) However, it’s certainly true that most hippies love solar power… as ~90% of all people support the idea of solar power. If you’re human and have a brain (i.e., you are human and alive), there’s a pretty dern good chance you love solar power. If you’re reading this site (Solar Love! ), you better love solar power. Otherwise, get out of here! Anyhow, why did I bring hippies into this? Because of the old, angry comment anti-hippies like to make: “Get a job!” The fact is, solar power’s growth is providing a ton of jobs to hippies and non-hippies alike. We’re approaching (or have probably now passed) 150,000 solar jobs in the US! 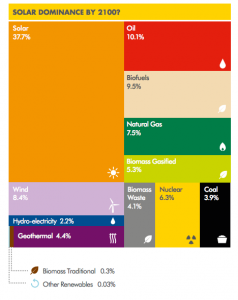 Solar power isn’t just big in the “green” sector. It’s big everywhere. Walmart is installing a ton of solar power. Costco is installing a ton of solar. 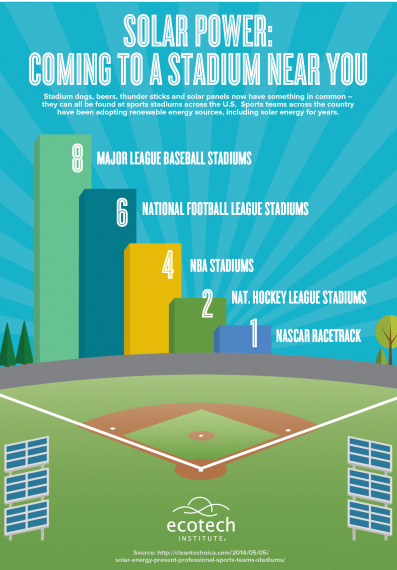 IKEA, Apple, Walgreens, Target, Johnson & Johnson, Kohl’s, Campbell’s Soup, and many others are installing a ton of solar power. 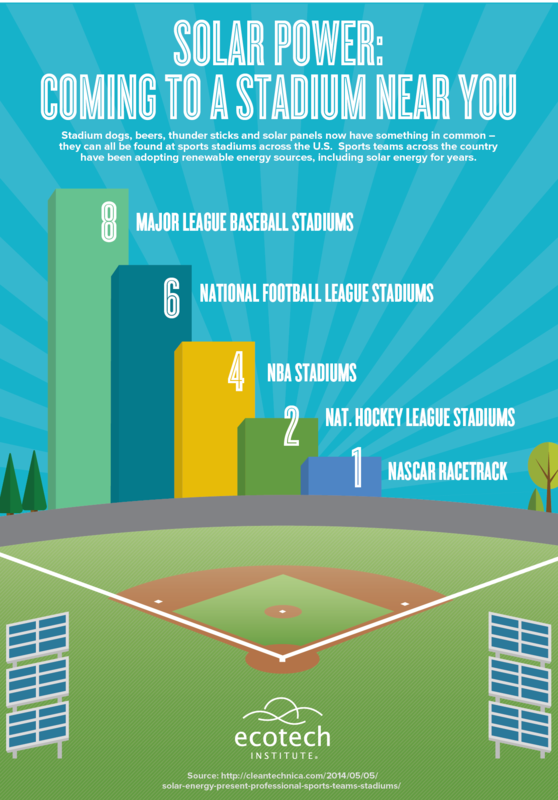 Many large sports franchises are installing solar power. Solar power is big business, and that also means it provides a lot of jobs. So, how do you get into the solar industry? It’s a good question, and if it weren’t for the Ecotech Institute kindly sponsoring this article, I wouldn’t have a good answer for you. It has an ebook about solar jobs (it’s a free ebook, btw), and it actually offers courses in various renewable energy technologies, including a solar energy degree. I’m not sure how many “solar energy schools” are out there, but Ecotech Institute is apparently a “first and only” in some respects. That’s impressive. And I remember writing about Ecotech Institute years ago, so it certainly isn’t a new kid on the block and I imagine it really knows what it’s doing and how to serve its students by now. If you’re interested in getting a job in the solar industry or in any renewable energy industry, I’d genuinely recommend reading Ecotech Institute’s solar career ebook and possibly its wind career ebook as well. As noted above, this article was generously sponsored by Ecotech Institute. Thanks, Ecotech! Many people are out to not only save money but save the planet as well. One of the ways that a person can accomplish both saving money and helping to save the Earth is through solar heating. In this article, you will learn what solar heating is and how it will help you to save money. The costs of energy usage is increasing on a daily basis and they are expected to continue to climb. For this reason, many people are choosing to go with solar power. But what about solar heating? That’s a different matter. When people are speaking of solar heating and their homes, they may be referring to active or passive solar heating. Passive solar heating is the absorption of light for the use of the heat that comes with it. You can bring that heat into your home with big windows, dark colors, or other methods. The other type of solar is called active solar. This type works with the same principles as passive solar but nothing else is the same between the two. What makes this kind of energy different is that there needs to be an active element that will move the heat from the collector and absorber to the thermal mass or even directly into the home. This is often referred to as a solar thermal system. Most homes today have a forced air heating and cooling system that is controlled by a thermostat. There are a couple of different ways that you can convert this to a solar-powered heating system. Using a solar water heating system can do this, or you can convert it by using a system that uses an energy collector (such as a solar PV panel) and uses that energy to heat or even cool your home. An important first step, however, is to be sure that your HVAC unit is not a suspect for energy loss. One important way you can do this by insulating your pipes. Of course, there are also more ways to check for HVAC energy loss*. You can research this to learn more. Research was completed in 2009 showed that most homeowners were spending about $2000 per year on energy costs for their homes, and (of course) since then, costs have continued to rise. However, you could find yourself saving money on energy costs if you switched to solar power and/or solar heating. Many say that the government is only out to take your money. The fact of the matter is that the government is also concerned with saving the planet, and with sending money back to you in various ways. For this first reason, it is currently offering monetary incentives that will help inspire a greater portion of the population (of the United States) be motivated into using solar energy. These incentives come in the form of tax credits and are offered from both the federal government as well as many state governments. You will also find that, by adding solar energy or solar heating, you can increase the value of your home. Of course, you can’t know exactly how much solar energy will add to the value of your home until you go to sell it, but you will definitely be able to show the possible homebuyer how much you have saved on energy costs since the installation of the solar power, and studies have found that the extra home value is typically greater than the cost of the solar system. There are many different ways to save money as a homeowner. One of the ways that is often overlooked but growing in popularity is that of solar power, but solar heating is also an option to consider. To learn more about solar energy and how to have it installed into your home, search around this site and ask plenty of questions. This article has been courteously sponsored by Quality Mechanical. Solar power is the future. There’s no doubt about it. Even Shell knows it (see pessimistic chart on right). But the solar future isn’t just about replacing dirty energy; it’s also about bringing clean electricity to millions of people who don’t have it. The beauty (well, one of the beauties) of solar energy is that it is available in the most remote places on earth. Rather than having to ship fuel to such places continuously, all that’s needed is the technology, then the fuel comes automatically. Still, designing solar power systems for remote and rugged regions can be difficult, and building the systems can also be a challenge. “Using Dassault Systèmes’ 3DEXPERIENCE platform, the energy companies of today can virtually design, build and test the power generation systems of tomorrow,” which is great in that it “allows stakeholders to work collaboratively and maximize efficiency.” This is helpful for any project, but especially for remote projects. It actually amazes me sometimes how much is still done in person, requiring long flights, even intercontinental flights, when it could be done virtually but still collaboratively. I’m in a unique position, as I work with online publishing platforms, but it’s not as if publishing, socializing, and watching cat videos are the only things you can do online and via modern computer technology. So much time and money can be saved by using technology to design and plan systems from the comfort of your own home or office. 3D printing gets a lot of attention these days (deservedly so), but 3D design and visualization is also an important advance that allows for more efficient and effective commercial advancements. The “first movers” who adopt more efficient and more effective systems within their sectors get great advantage from doing so. How much advantage could be had from 3D modeling and design, virtual collaboration, cutting-edge business coordination technology? Looks powerful and fun to me. Whether you’re designing remote solar power plants; creating a new solar power plant model; designing and visualizing solar modules, solar cells, or other solar technology; collaborating with project partners halfway around the globe; trying to impress potential investors and stand out in how you communicate and demonstrate your product concept; or something else, the 3DEXPERIENCE platform looks pretty wicked and useful. Look into it if you think it might fit your company. The solar energy future is bright, but that doesn’t mean every solar company will succeed. It is a competitive market. *Disclosure: Dassault Systemes generously supported this article. The UK DECC’s (Department of Energy and Climate Change) Consultation on Changes to Financial Support for Solar PV makes interesting reading, especially for those who are considering investing in the solar industry in the UK. Part B of the Consultation is aimed at “promoting the deployment of midscale building-mounted solar PV”. With energy prices in the UK increasing at eight times the rate of earnings (up 37% since October 2010), solar energy is looking more attractive than ever for both domestic and commercial customers. The provision of sustainable energy on a fixed price, long term contract via solar panels on the roof of a building offers householders and business owners in the UK an inflation beating sustainable energy solution for the future. CBD Energy is a global energy company that delivers cost-effective and socially responsible clean, green energy solutions to consumers worldwide. CBD Energy has merged with Westinghouse Solar, a UK subsidiary of US based Westinghouse Electric, a company with a rich heritage and a long-standing reputation for reliability, efficiency and professionalism. The UK Solar PV Strategy Part 1, dubbed a “Roadmap to a Brighter Future” describes Solar PV as one of the eight key renewable energy technologies that will help to provide the UK with a balanced energy mix that represents clean, green energy for the 21st Century. 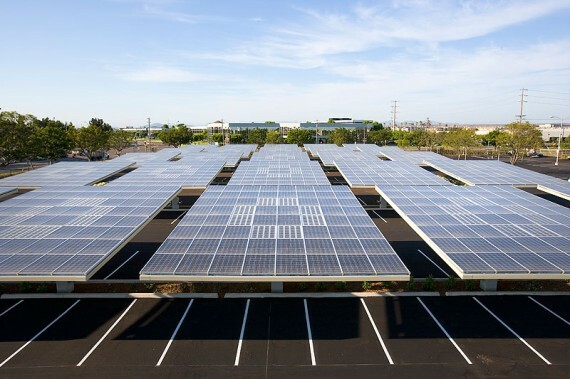 Solar PV is both versatile and scalable with the advantage that deployment is viable in a wide range of locations, including domestic and commercial/industrial buildings. Solar projects have the advantage of quick and easy installation with low maintenance costs and predictable output. The fuel, solar radiation, is free, making this one of the most popular renewable energy technologies here in the UK, with a public approval rating of 85%. • Support for solar PV should enable cost-effective projects to proceed and make a cost-effective contribution to UK carbon emission objectives. • Support for solar PV should deliver genuine reductions in carbon emissions in order to help meet the UK’s target of 15% renewable energy by 2020. Century. • Support for solar PV should ensure that installations are sited appropriately with environmental considerations (landscape, visual impact, heritage and local amenity) and should provide the opportunity for local communities to influence decisions. • Support for solar PV should assess and respond to the impacts of deployment on grid connectivity, grid systems balancing and financial objectives. Westinghouse, in conjunction with CBD Energy, is committed to enable businesses and schools across the UK to save money on energy bills by installing rooftop solar panels free of charge. The funding for these solar installations is provided via CBD Energy’s Energy Bonds offering, an innovative scheme that offers investors a significant return of 6.5% over three years. Not only will this help to reduce the UK’s carbon emissions, it will provide cheap energy for businesses and schools in Britain. These Energy Bonds are secured against the solar projects themselves, offering investors an increased level of security because if the issuing company does go bust, the installation may be sold to an alternative organization. Once an initial installation has been completed, output is predictable and maintenance costs are relatively low. Income will be generated from the Feed in Tariff (FiT) which was introduced by the government in 2010 in a bid to support businesses, communities and individuals to generate clean, green energy. While the DECC proposal offers no additional funding under the FiT scheme, it proposes to split the current FiT degression band for Over 50kW installations into two separate bands – one for stand alone and one for other than stand alone. This is aimed at ensuring that small scale renewables can deploy in a cost-effective manner. 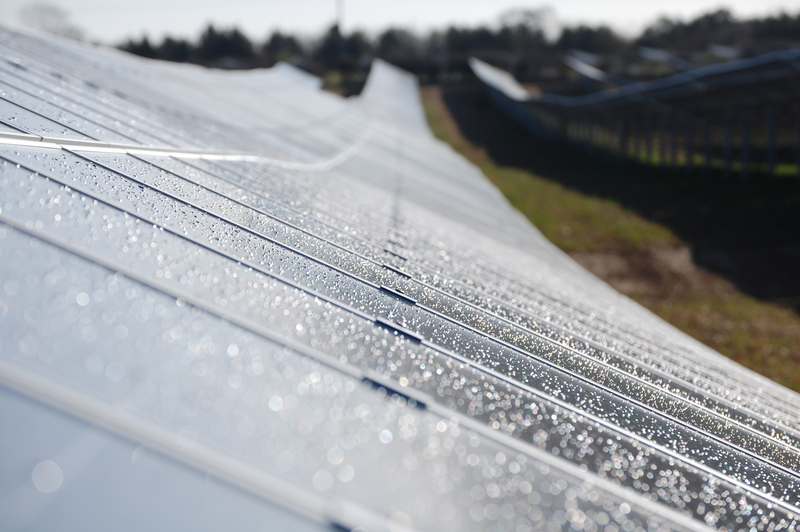 The increase in solar installations in the UK is an exciting prospect for both investors and users. The government is committed to lowering carbon emissions by at least 34% by 2022 in keeping with the Climate Change Agreement. Moreover, Energy Bonds represent a viable opportunity for socially responsible investment in a time of economic uncertainty. This article was sponsored by CBD Energy.